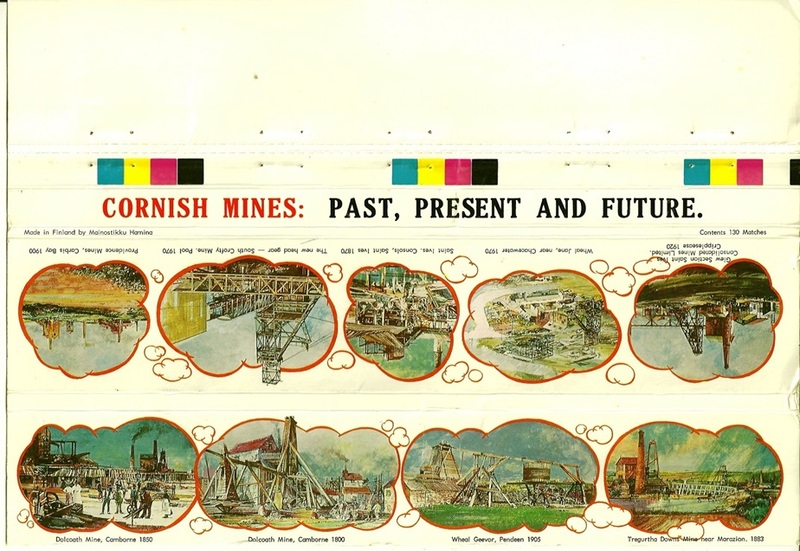 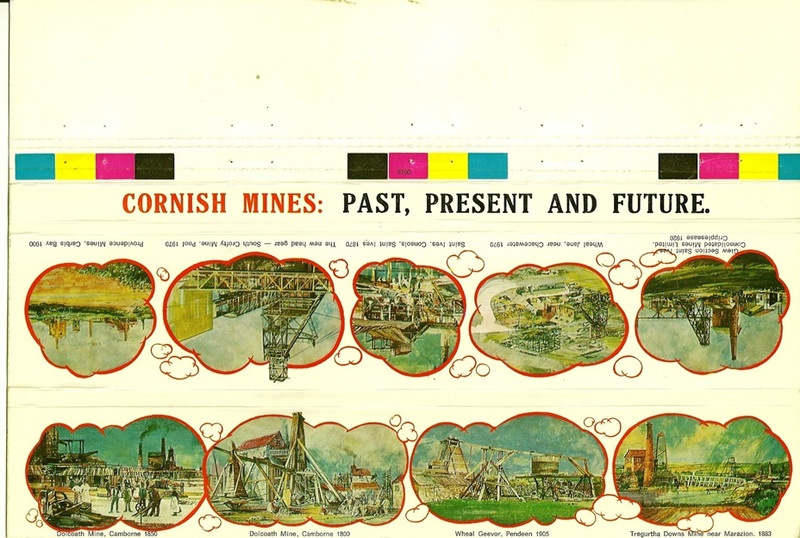 Four bookmatches and one skillet are known to exist showing Old Cornish Mines. 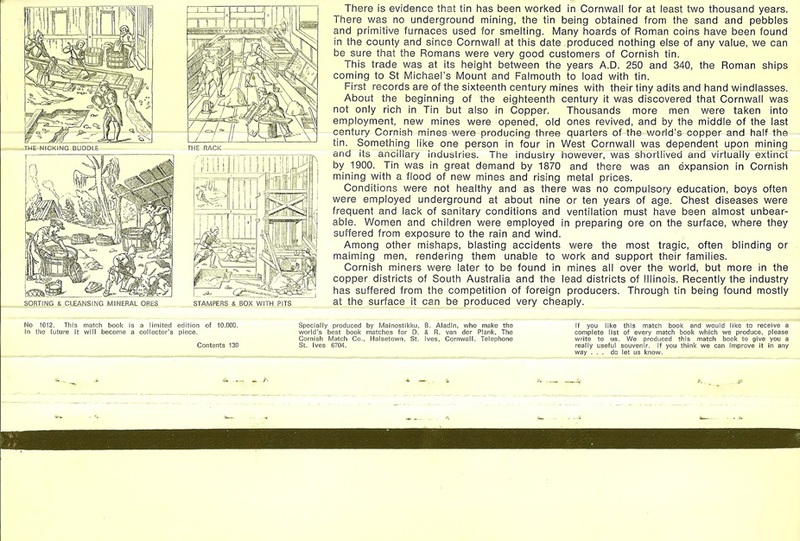 These date from the 1970′s. 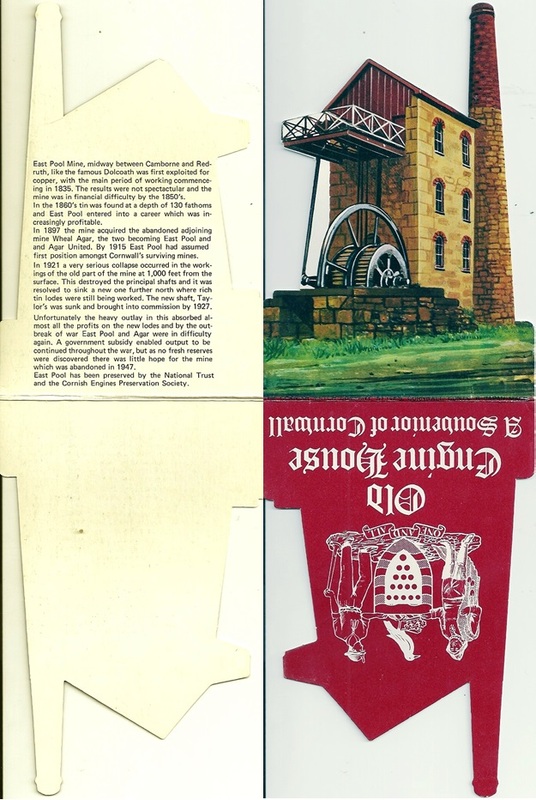 The Old Engine House booklet was produced in 1976, the Poldark (Wendron) booklet in 1978. 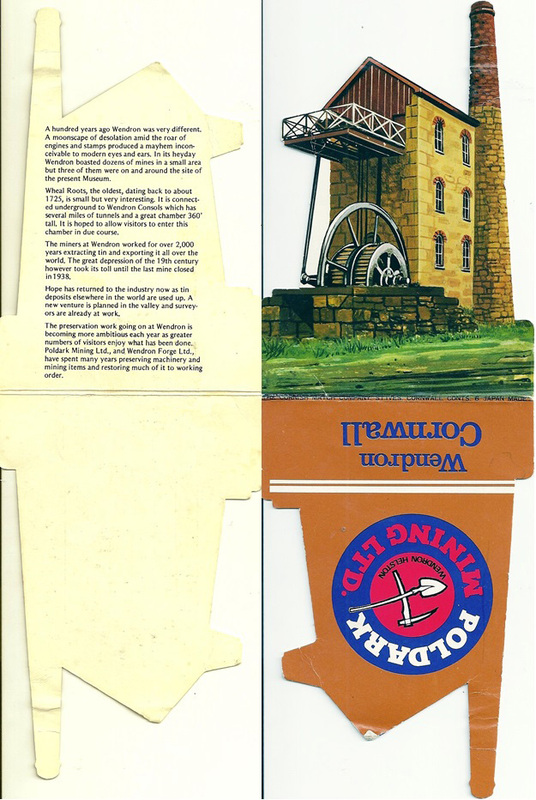 The long bookmatches have slightly different manumarks : bookmatch 1 says “Mainostikku” which was an advertising company situated in Hamina (southern Finland), bookmatch 2 has no manumark on the front but does state “Mainostikku” inside. 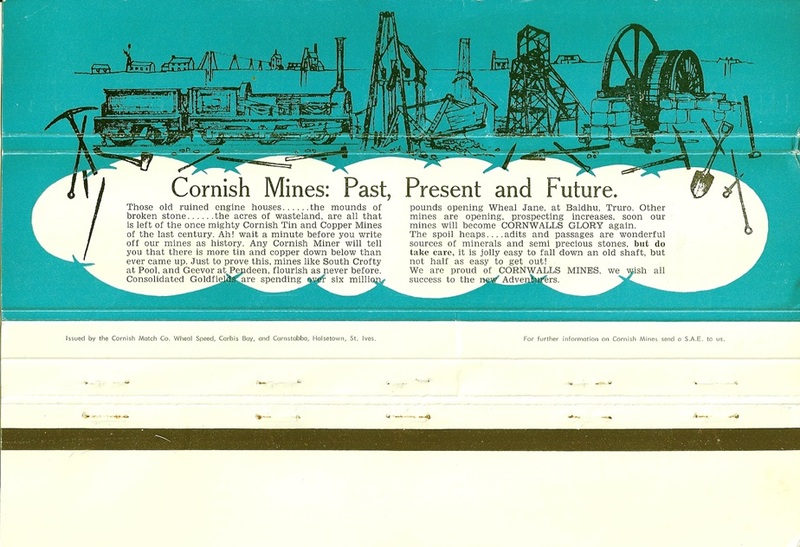 The Geevor Tin Mine skillet was ordered from Kobe in Japan in Feb 1978.